The steel mace work out is not the most well known of work outs here; it’s a type of strength training using a long metal rod capped with a weighted ball on one side. But this form of exercise may not necessarily be something new – maces have been used as weapons and training tools for thousands of years, and a favourite amongst Hindu warriors. 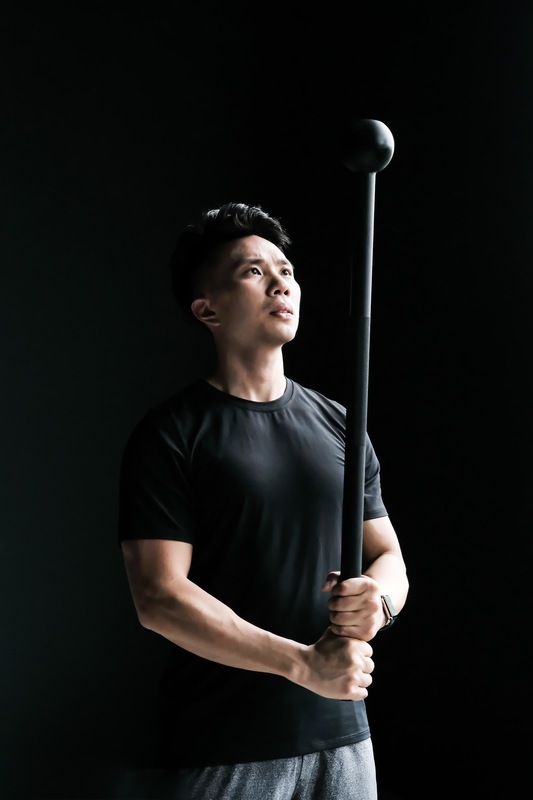 Made popular in the UK in the last decade, and then in Australia for the past two years, the steel mace work out has finally made its way to Malaysia, the first country in Southeast Asia to have an accredited workout class with a certified instructor. Vitruvio Gym is the first to bring this workout to Malaysia. 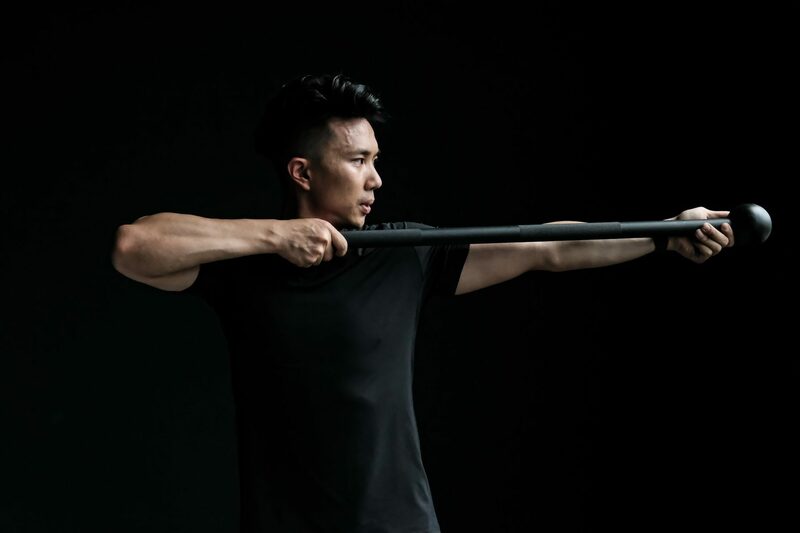 This brand new regime, according to co-founder and instructor KC Lim is something that is absolutely different from the usual functional, high-intensity or mobility training in most gyms. “The pace is much slower but it is very effective to build core and rotational strength. What makes it different is the highly uneven distribution of weight that facilitates various movements that engage the core,” he shares. KC Lim is the co-founder of Vitruvio Gym. We made our way to Vitruvio Gym in Plaza Arkadia Desa Park City to try working out with the steel mace. For a first-timer, the workout is really uncomplicated. If you’re a regular at the gym, it is somewhat like kettlebell training but using a steel rod instead. Start slowly as you master the individual movements and pay attention to your stance. Always keep your torso upright, core tight and glutes engaged. Once you’ve gotten a rhythm going as you move the weighted side of the mace from left to right, add different moves – and feel free to get creative. Combine moves like squats, thrusters and grave diggers. Working out with the steel mace. The long rod (also called the shaft) makes it easy to change your grip position from one move to another. You’re able to alter the difficulty and resistance of each exercise by moving your hands further away from the rod’s weighted ball (also known as the head). That quickly upgrades the beginner movement into an advanced level, as it is more difficult to control the long, unevenly weighted rod especially with one hand. “When gripping on the shaft, you can also add on pressure to create intensity. Pretend you’re trying to ‘rip’ the steel rod apart or ‘crush’ it. The push and pull movement helps you to focus on strengthening your core, shoulder, chest and back muscles,” explains KC. Holding the shaft further from the head increases the intensity and difficulty of the workout. Steel mace is a primitive workout practice my ancient warriors. It is also a great tool for swinging, twisting and pressing exercises where core control and body balance is crucial. Mace training helps to develop a strong foundation for you to proceed to more powerful functional and strength workouts. Besides that, some of its movements like the steel mace paddle-boarding require cross-body swinging motions that target particularly the oblique muscles. It is further amplified by the uneven distribution of weight – demanding a greater core control. 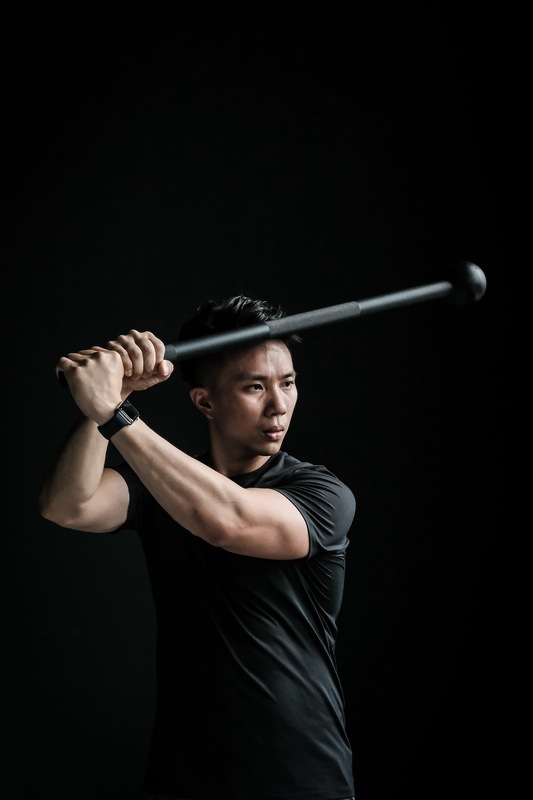 While it may all sound like a spartan training, steel mace workout is actually a multilevel class that is suitable for anyone, including those going through rehabilitation from injuries. Steel mace also helps to fix any imbalances you might have especially when you carry weights regularly. Training with a unilateral weight like the mace helps to keep your dominant side from assisting your weaker side. 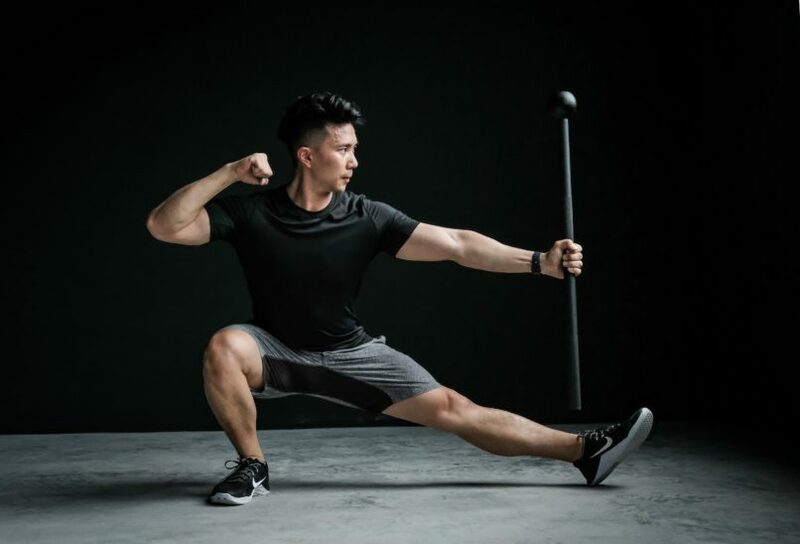 Exercises with the steel mace help you improve coordination, balance, strength and endurance, which in turn will boost your overall performance in your workout regimes and daily life. “When the crowd is familiar with the basic workout methods, we will bring in new movements to increase the complexity of the steel mace class. For now, it is a workout that you should complement with your daily fitness routine,” he concludes.